Everyone is in full swing with their xmas cards and there are some gorgeous cards all over blogland!!! and the chance to make a xmas tag really was very welcome here! This tag has a marbled distress paint background and some 2nd generation stamping of snowflakes from Kaszazz. 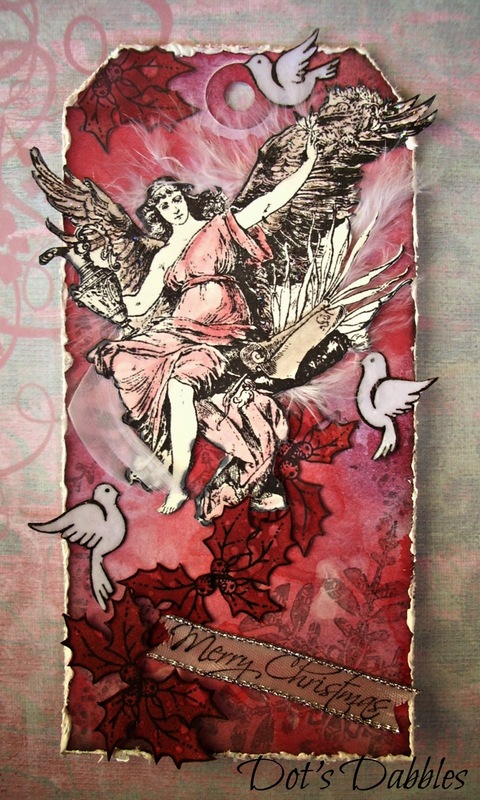 This Stampendous angel has been…slowly…cut out and water coloured with distress inks. Then I decided to add some feathers to the back of her to give her that ‘high in the sky’ feel. The rest is just some holly and doves and a sentiment stamped onto some ribbon that has some distress ink added to it so that it blends in with the card. A tip with this – use Staz-on ink for this (the others run a bit). Totally stunningDot, I love those deep red tones, and wow, that Angel stamp is stunning, not seen it before! Totally love the idea of the feathers behind it too! A gorgeous tag Dot, love the rich colours and super images. Stunning tag Dot, love the colours and background. It's a fabulous image too. Gorgeous tag Dot! Love the angel! Have a Blessed day! Great tag – i can hear the angel sing!!!! Fabulous tag, Dot! Great idea to add the feathers behind her. Very pretty! You did a great job on this!! That's a stunning tag, Dot – the shading on the angel's dress is really beautiful, and I love the white doves against the glow of the background. Sorry to have missed so much, but I'm looking forward to getting back into the swing of visiting. Love the detail here and those feathers are the perfect touch. Thanks for sharing with us over at Little Red Wagon this week. Gorgeous, love the christmas feeling on it!! Thank you very much for your lovely comment on my blog!! 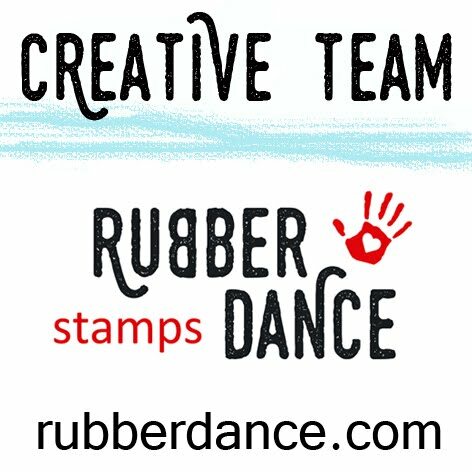 A great tag – thank you for sharing it with us at Christmas Stampin' All Year Long. Popped over to get a link and realised I hadn't left a comment. Sorry sweets with everything going on I am only just catching up. Beautiful and so angelic Dot. For someone who says she dosen't like making tags this is a stunner.